Go! 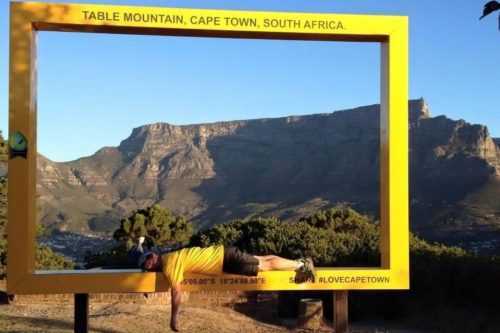 Running tours in Cape Town let you soak up the sun, sea, mountains and metropolis of the South African capital. Blissful weather all year long and amazing scenic routes, Cape Town is a runner’s paradise. Our guided runs show you all that this fascinating city has to offer with no carbon footprint. Your personal, local guide offers runs that let you explore the city in the most fun, safe and healthy way. Whether you want to explore the city and harbour, or head off the beaten track, we’ve got you covered. Who wouldn’t want a sightrunning tour around one of the world’s most fascinating cities? There are plenty of Go! 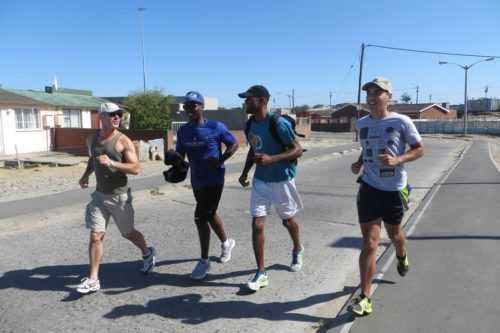 Running Tours in Cape Town to choose from. So when you’re in the South African capital, lace up and see the sights while you stay in shape. With sights, gastronomy and history in abundance, Cape Town is a perfect destination for sightrunning. To work out as you learn about the city from a personal guide, choose from our running tours in Cape Town for an unforgettable experience. South Africa’s imposing nature on land makes you feel like you’re at the end of the world. Nowhere is this more evident than at the Cape of Good Hope Nature Reserve and Table Mountain. Looking to the sea, you can find beaches, marine wildlife and Robben Island, where Mandela was held in prison. Sun worshippers can stretch out on golden sands before discovering a colony of penguins at Boulders Beach. Cape Town showcases South Africa’s wine culture with a range of festivals, one of which is sure to coincide with your trip. Match your wine with a huge array of seafood specialities from the tip of Africa. The Victoria and Alfred Waterfront is an idyllic backdrop to some of the cities best bars and restaurants. Whatever month you’re in the South African capital, there are races aplenty. Headlined by the Cape Town marathon, the city also hosts night runs, a three-peaks challenge and the Cape Town festival of running. This thrilling city has far too much on offer to cover in just one trip. So when you’re back next time, why not try a new one of our running tours in Cape Town?